A manhunt is underway in North Carolina for a suspect accused of shooting a sheriff’s deputy during a traffic stop, Caldwell County officials said Monday. The deputy, whose name and condition have not been released, was shot around 11:30 p.m. Sunday, officials said in a press release. 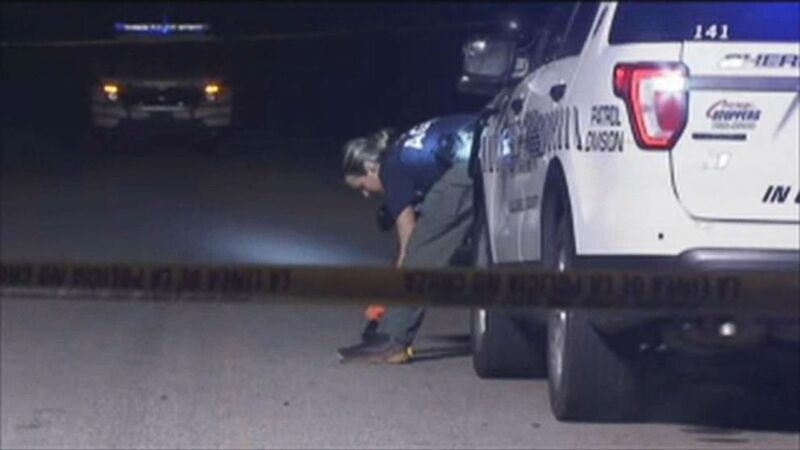 Police at the scene after a Caldwell County, North Carolina, sheriff’s deputy was shot, July 15, 2018. The Caldwell County Sheriff’s Office has released images they say are of the suspect’s car as they work to track down the shooter and determine a motive. 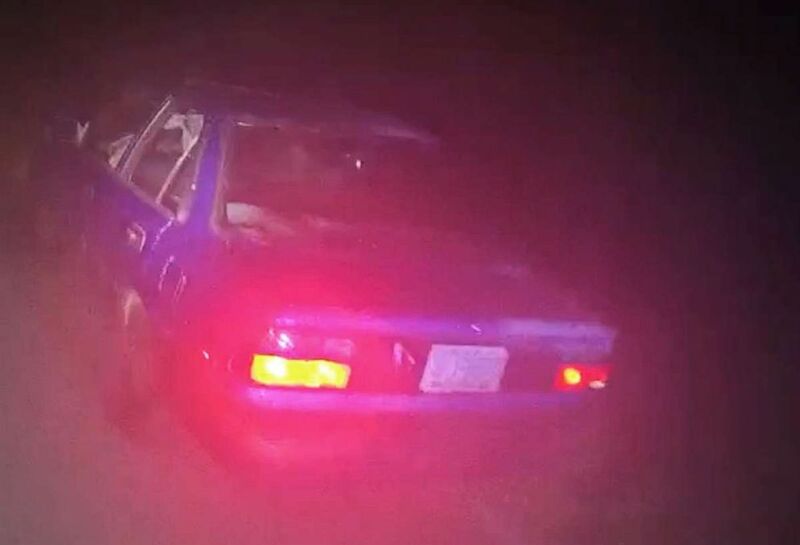 The car is described by authorities as a blue, four-door Toyota Corolla from the early 1990s with North Carolina license plate AFJ-5570. The Caldwell County Sheriffâ? 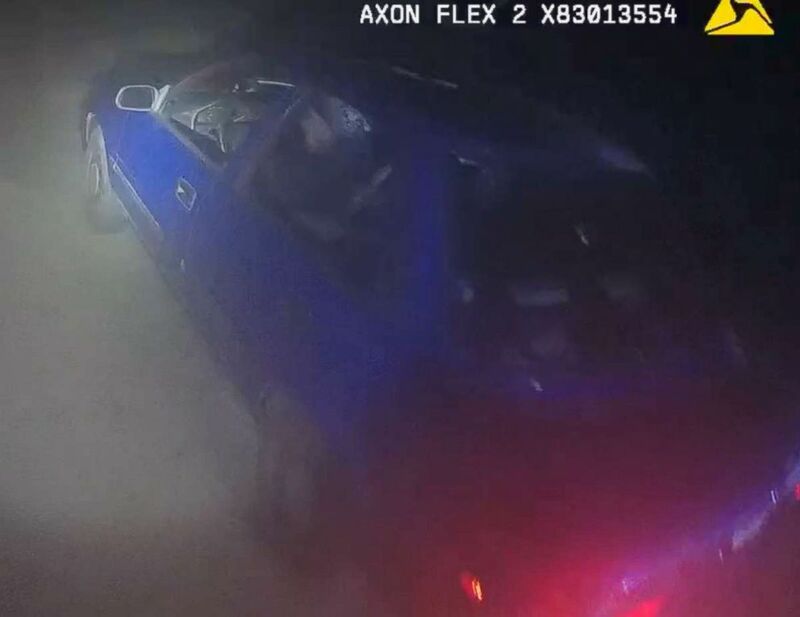 ?s Office has released photos of the car of the suspect that shot a sheriff’s deputy during a traffic stop on July 16, 2018, in Lenoir, N.C.
A man was driving the car and a woman was in the passenger seat, the sheriff’s office said. Following the shooting Sunday, the injured deputy was flown by helicopter to Carolinas Medical Center in Charlotte for treatment, the county said. The deputy had been working with the sheriff’s office for just over a year and was wearing a protective vest during the incident, but was struck below the vest, the county said. Crimestoppers has offered up to $1,000 for information leading to an arrest in the case, the sheriff’s office said. Anyone who sees the car is urged to call the Caldwell County Sheriff’s Office at 828-758-2324. 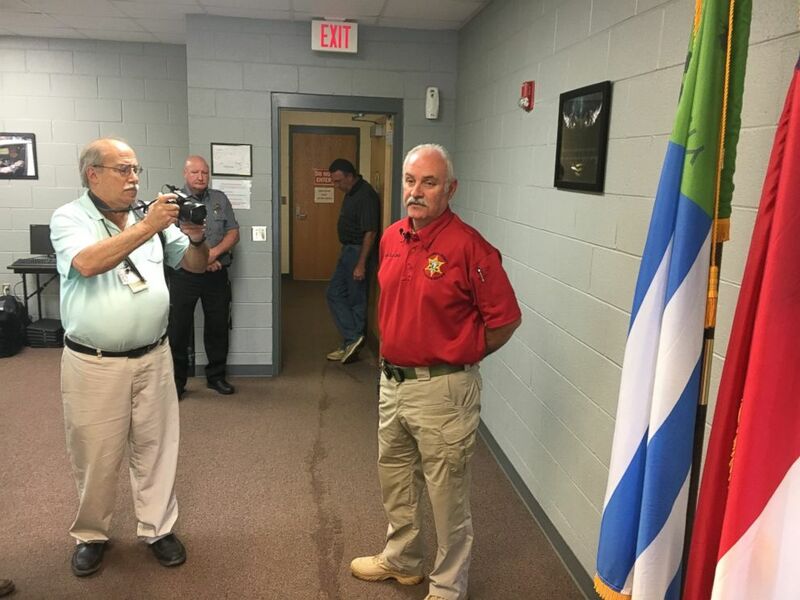 Caldwell County Sheriff Alan Jones speaks, July 16, 2018, after a deputy was shot Sunday night during a traffic stop in Lenoir, N.C.